A COTTAGE INDUSTRY in “treasure maps” purported to show the location of Madoff’s fortune has arisen in NYC. But clues always lead to a dead end. NEW YORK CITY – The office of Mayor Michael Bloomberg is vehemently denying reports that Bernie Madoff buried more than $57 billion in stolen money somewhere in Central Park! Rumors that the swindler squirreled away missing loot from his massive Ponzi scheme on the eve of his arrest have sparked the mother of all treasure hunts, with New Yorkers – and visitors from away as Nevada – flocking to the park nightly with shovels in hand. EVEN WEALTHY New Yorkers are joining in the treasure hunt — including this TV celebrity who is easily identifiable despite the baseball cap and shades. “It’s like something out of that old movie ‘It’s a Mad, Mad, Mad, Mad World,’ ” says hotdog vendor Herbert Jankowski. “During the day everything’s normal, but after sundown people are out here in droves, elbowing each other out of the way for the best spots. Not just homeless people or the unemployed. 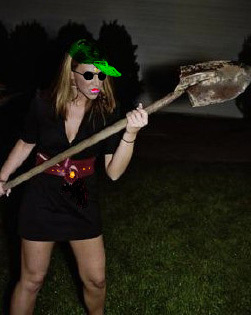 I’m talking about rich folks from the Upper East Side who look like they’ve never held a shovel before in their lives. 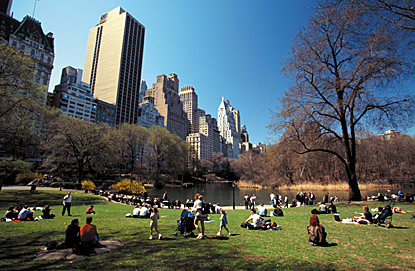 THE BEAUTY of Central Park should never be destroyed by treasure hunters, city officials say. By the wee hours of the morning, areas like Sheep Meadow are so riddled with holes that Parks Department crews barely have time to fill them by sunrise. 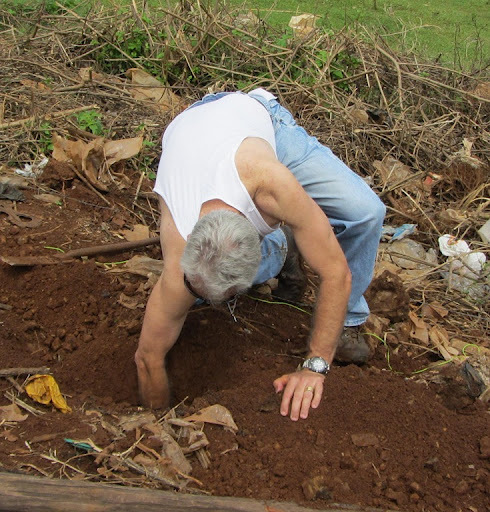 Mayor Bloomberg has issued an emergency order imposing a hefty fine on anyone caught digging in the park. GOTCHA! 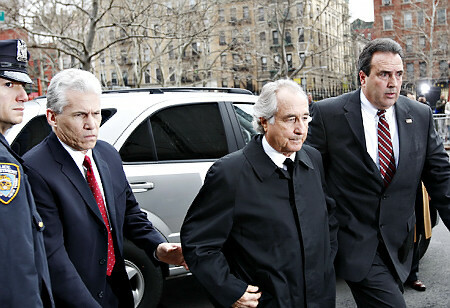 FBI agents busted Bernie Madoff in 2008. But billions of dollars he ripped off from clients have never been found. According to rumors that first surfaced on the Internet last year, eyewitnesses saw Madoff exit his swank Park Avenue apartment at about 2:30 a.m. on December 11, 2008. He walked in the direction of the park — toting large heavy black gym bags. Yet FBI surveillance footage shows him returning home at approximately 4:10 carrying nothing. He was arrested hours later. NOW YOU SEE THEM, NOW YOU DON’T. 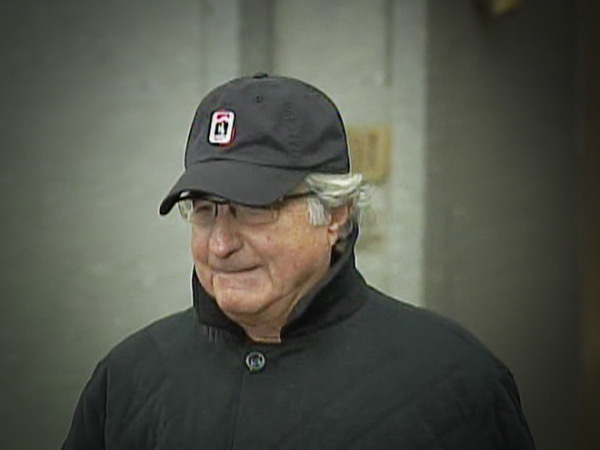 Surveillance footage appears to show Madoff returning home without the mysterious gym bags. City officials dismiss all that as an urban legend that has gotten out of hand. Only two facts are certain. The crooked financier was convicted of stealing as much as $65 billion from his wealthy clients. And only about $7.6 billion was ever recovered. Which leaves $57.4 billion unaccounted for. HOLES like this one detract from the beauty of the park, officials say. Treasure hunter Bryan “Chip” Munglon, who led the team that found pirate queen Anne Bonny’s lost booty in 2001, has been combing the park for nearly a month. 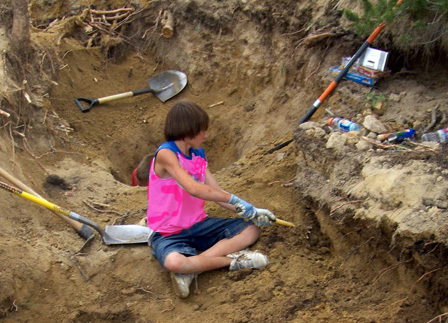 He admits he’s not sure that there’s buried treasure there at all. AGE is no barrier to joining the treasure hunt. 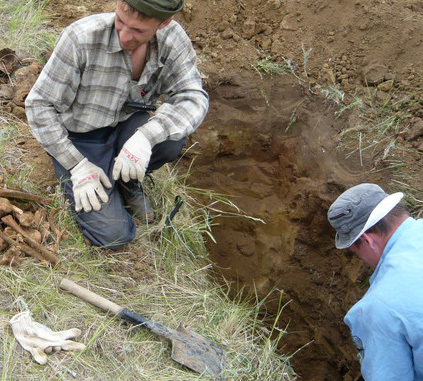 New Yorkers as old as 81 have been arrested for digging in the park, according to NYPD. The FBI concurs with New York authorities that there is “no basis whatsoever” for believing Madoff’s millions are nestled underground. As for the missing dough, “Money simply disappears all the time, as anyone familiar with criminal investigations will tell you,” said an FBI spokesman. “We do not believe Mr. Madoff converted his illegally obtained assets to cash and concealed them. 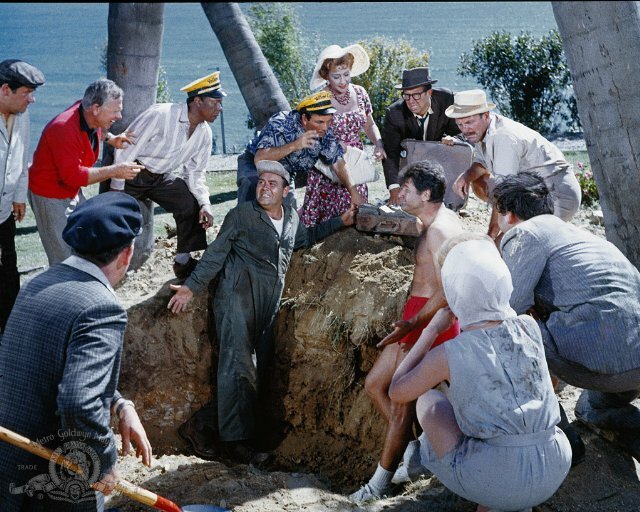 WITNESSES have likened the chaotic scene in Central Park to the movie “It’s a Mad, Mad, Mad, Mad World,” in which a large cast of characters are driven nuts by greed in the hunt for treasure. The whereabouts of Bernie's booty is a tantalizing mystery. 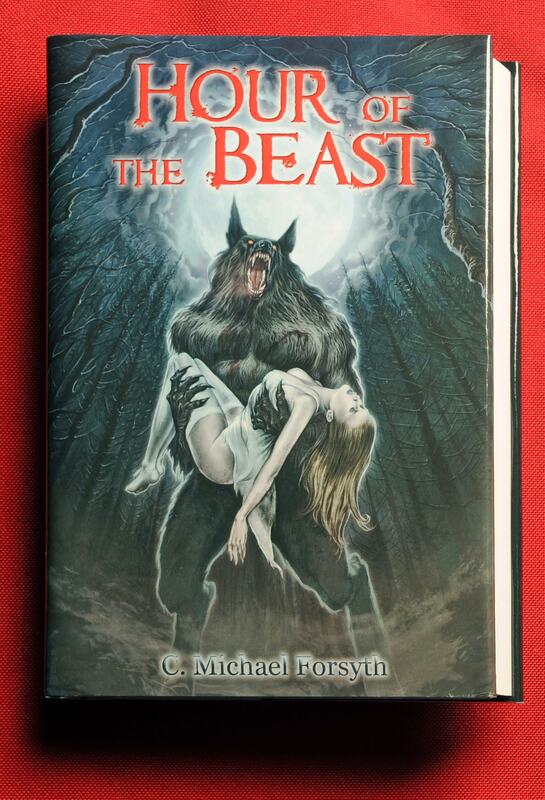 Speaking of mysteries, the author of this article also wrote Hour of the Beast, about mysterious supernatural doings on a college campus.